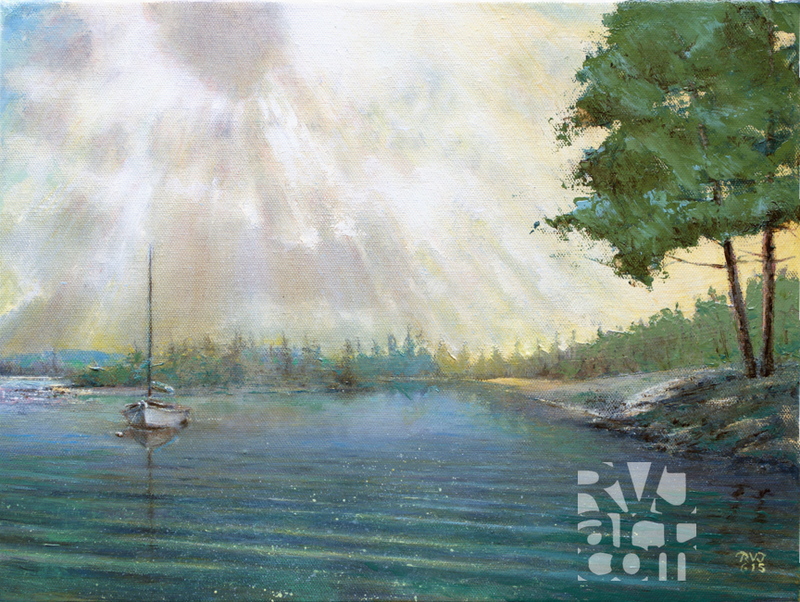 I love the way the sunlight is reflected on the water in this piece, Roger. It looks irradescent with the shimmery effect of ripples. I expressed an interest in purchasing this one, I am sure others have too. Hi Kathy, I will email you details to purchase this work, thanks! Hi Roger, I am very excited to purchase another wonderful piece of yours. This painting speaks to my heart. The colors are breathtaking. I have already chosen the room where it will be displayed for all to enjoy. Thank you Kathy! I will contact you to discuss the particulars.